Minimum Day on Friday, April 12th. Dismissal at 12:40 p.m. Spring Break from Monday, April 15th to Friday, April 19th. 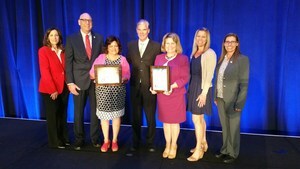 School resumes on Monday, April 22nd at 8:30 a.m.
Ramona's RTI language arts program is honored with the Gold Ribbon Award and can serve as a model for other schools.